The resort comprises 6 well-appointed rooms spread over an acre of land. 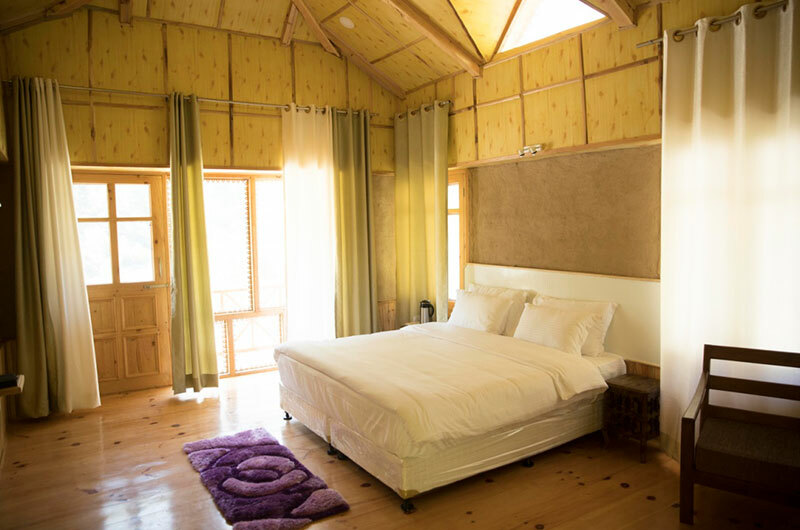 All rooms come fitted with French windows overlooking the valley and the Tirthan River. The property boosts of his own Pear Orchard and the fresh Himalayan groundwater. A property, where you will feel to enjoy both the rooms along with the peaceful surroundings along Tirthan River which is just outside the property. Deluxe room is cozy built in traditional style of area approx. 220sq feet and are designed / built to give the best comfort to the Guest. The mud walls and wooden flooring not only adds to the aesthetics of the room but also keeps the tradition and a caring attitude towards the Mother Nature. The rooms with open able windows are Spacious, bright, outward facing rooms and totally refurbished, these traditional rooms comes with double bed and fully equipped bathroom with basic toiletries. All rooms come with the open able windows towards the valley. Best suited for family, honeymooner’s, trackers, business leisure etc. Super Deluxe room is cozy built in traditional style of area approx. 240 sq. feet. The rooms are designed and built to give the best comfort to the Guest. The mud walls and wooden flooring not only adds to the aesthetics of the room but also keeps the tradition and a caring attitude towards the Mother Nature. 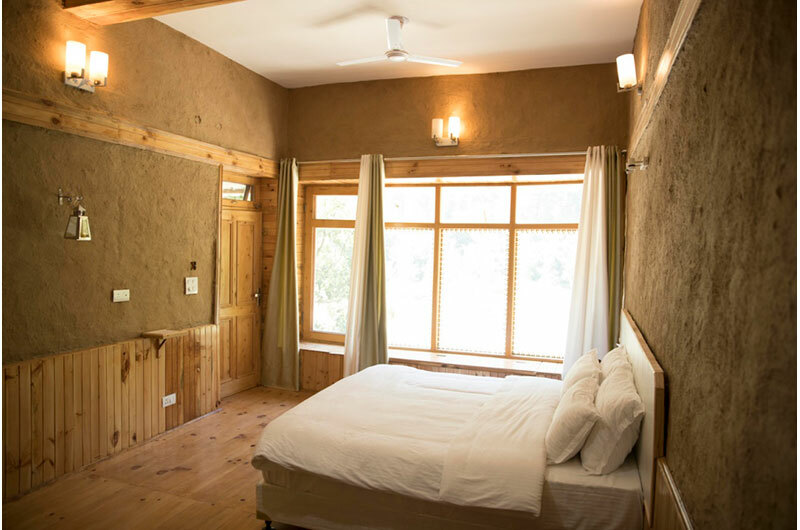 The rooms are Spacious, bright, outward facing rooms and totally refurbished, these traditional rooms comes with double bed and fully equipped bathroom with basic toiletries all rooms comes with the open able windows towards the valley. Also, not to forget the balcony in the rooms which gives the fantastic 180-degree view of valley. Best suit for family, Honeymooner’s, trackers, business leisure etc. An oasis bustling with life, a region that takes you back a few generations, a pace that makes life more meaningful and action that promises to take your breath away. Relax. Have a Himalayan experience. Be prepared to convert to a twitchier, a book reader, a lepidopterist, a tropical forest conservator, an angler, or an astronomer devat farm promises to change you, a little bit at least, forever.